We are smitten by our wonderful clients, Jenna and Andrew! what a truly HAPPY HAPPY event . . . from the rehearsal on, folks were laughing at every possible opportunity. 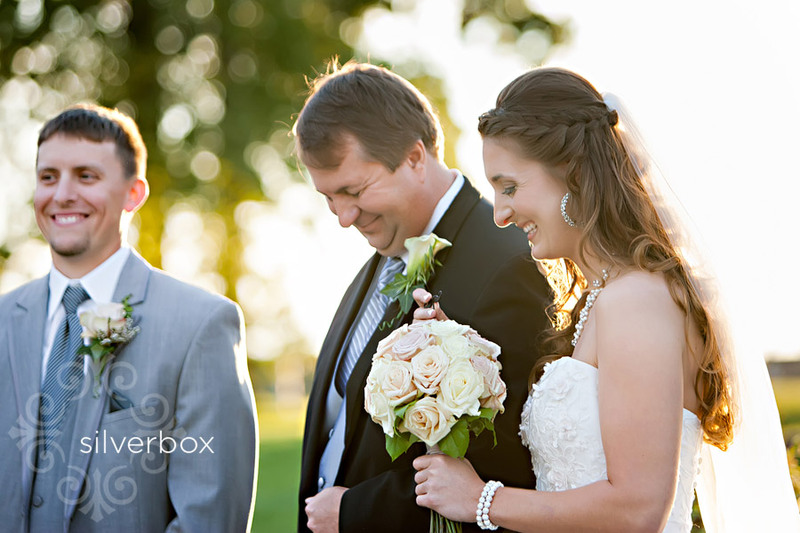 The mood of the bride sets the tone on wedding day, and Jenna's relaxed, exuberance was contagious! And one other thing: we're so glad here at SilverBox, to have Ashley Turner on our team now. Ashley joined us in June, and Ashley and I LOVED EVERY MINUTE OF DOCUMENTING Jenna and Andrew's wedding together! (Ashley not only shoots beautiful pictures, she brings out the best in people and seizes the moments. Yeah, team!!!) Breathtaking! Lyria + Brook :: Engaged! !